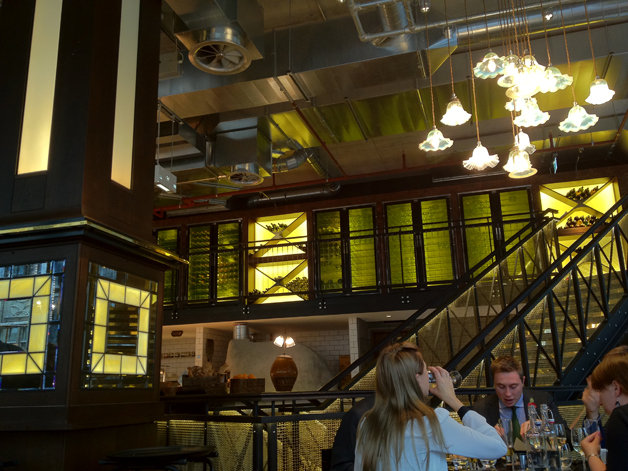 Bread Street Kitchen review – food to swear by? Despite his fame, I’ve never had much luck at Gordon Ramsay’s restaurants. I was unimpressed by famed Grosvenor Square stalwart Maze, disappointed by his Versailles venture Trianon and underwhelmed by private dining establishment Sloane Street. Although all of these experiences were admittedly a few years ago (before I started this blog), and I haven’t gotten round to treating myself at Claridge’s, I’ve come to the broad conclusion that the notoriously sweary blond-haired one is somewhat overrated. I got a chance to put this theory to the test at Bread Street Kitchen, the latest casual dining restaurant in Gordon’s empire. Followers of celebrity chefs will already know that Bread Street Kitchen (BSK) is located inside the One New Change shopping centre exactly opposite Barbecoa, rival Jamie Oliver’s barbecue venture. 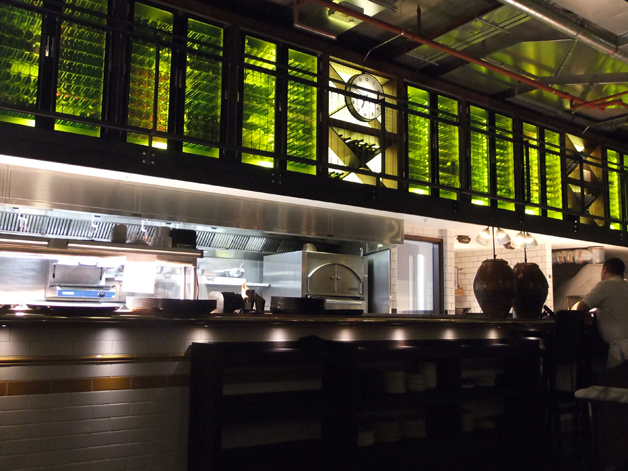 As with Barbecoa, the celebrity name doesn’t actually cook at BSK. If there’s one thing that’s definitely impressive about BSK then it’s the décor. The long rectangular dining room is absolutely huge, although clever lighting and architecture makes the cavernous space feel like a series of smaller, interconnected rooms. The entire restaurant has a slightly retro, vaguely Edwardian steampunk feel to it from the tiled floors to the wood and mirror panelled columns, the eclectic ragbag of lamps used as lighting and the dramatically lit mezzanine wine racks to the mesh wire staircase. They’re missing a trick by not funnelling at least some arriving diners up from the ground floor bar to the first floor dining space though – a gradual ascension to the dramatically lit hubbub of BSK would leave even more of an impression. The accessibly stylish atmosphere is slightly spoiled by the buzzy, club-like music and the inevitable packs of boozy, braying City boys, but it’s not too distracting. Service was a bit inconsistent – on my first visit there were often delays in taking my order, clearing plates away and settling the bill, but everything was much smoother and more effortless on my second visit with Kangaroo Face. The large menu isn’t categorised by type of food (meat, fish, vegetables etc) but is instead roughly divided by cooking method – raw, ‘wood stone’ (whatever that means) and a ragbag of other dishes that don’t fall into either of those two categories. 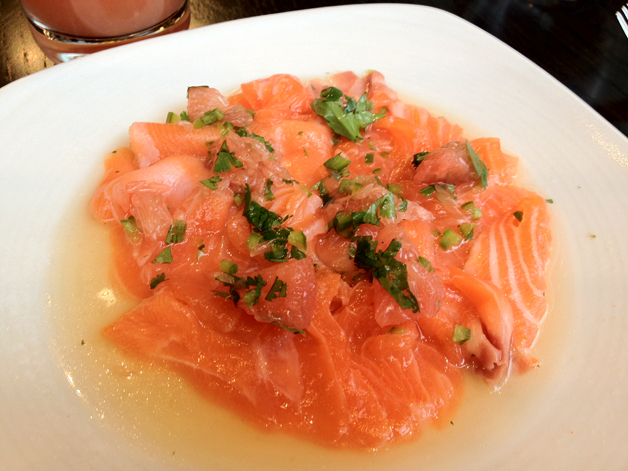 On my first solo visit I started off with the salmon ceviche. I’ve had poor to middling ceviches in other London restaurants, so I wasn’t expecting much here. Although it was generously large for a starter, the thin slices of raw salmon were limp and bland, livened up only by the zesty boldness of the lime juice and fresh chunks of grapefruit. I’d call it disappointing, but you can’t be disappointed if you never had high hopes to begin with. 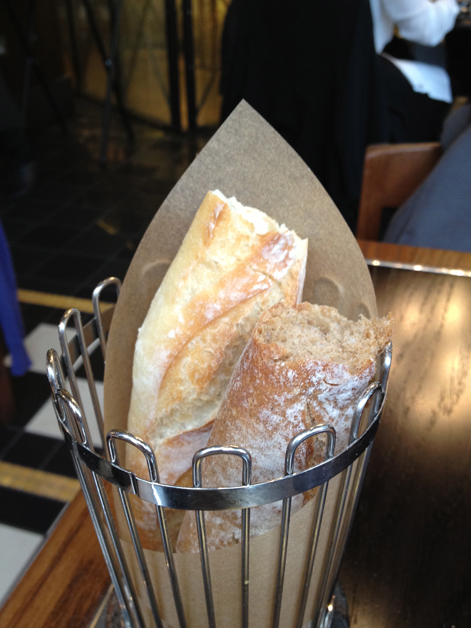 If you don’t like sourdough, then you won’t like the meagre selection of bread for the table. Even for sourdough I found the bread to be a bit too chewy for my liking, although the salted butter helps compensate for this to a certain extent. My main course of pork belly may seem like a rather boring, safe choice, but that fatty chunk of pig is surprisingly easy to screw up. Although BSK’s version isn’t the best I’ve had, it’s certainly a very good effort. The tender strips of pork had a slightly smoky, woody flavour, but the texture was still recognisably pork – it hadn’t been overcooked to the point of resembling stew. The layer of fat sitting in between the crackling and meat was a bit jelly-like, but had melted enough to ooze some flavour into the meat. 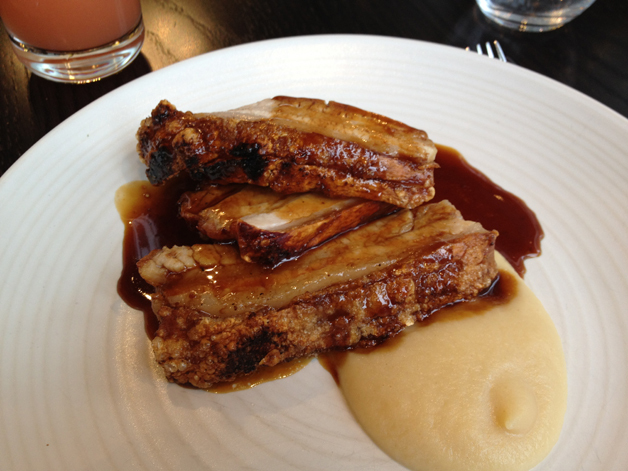 The crackling itself was a bit tough in places, but was pleasingly crisp overall and complimented well by a tangy brown jus I couldn’t quite place and a deliciously creamy and sweet apple purée. There weren’t any accompaniments included in the price. How Professor Pig Learned Not to Talk Back. 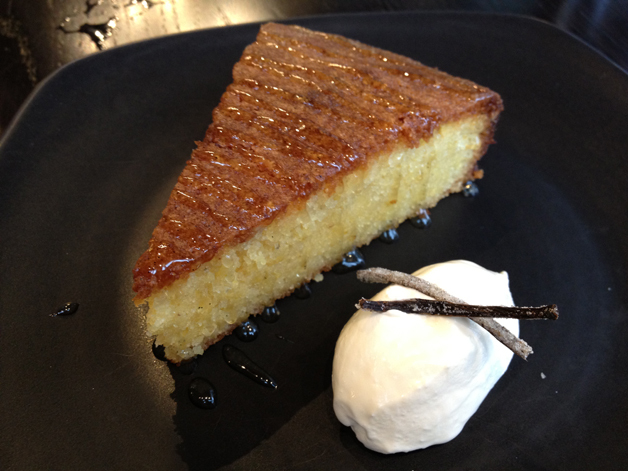 I finished off my rather filling lunch with a slice of almond and polenta cake served with crème fraiche. I’m not generally fond of crème fraiche, but it added some much need moistness here to an otherwise quite dry cake. The coarse, large crumb held together well and had a distinct hint of corn, but didn’t taste of almonds at all. Most of the flavour come from the noticeably zesty orange syrup drizzled over the top of the cake. A flawed effort. Almond and polenta cake is surprisingly tricky to pull off. My lunch at Bread Street Kitchen left me with very mixed feelings, so I made a second dinnertime visit assisted by Kangaroo Face who was just as impressed with the décor as I was. This time we were seated near the partially visible kitchen and were impressed that such a relatively small kitchen could deal with such an expansive menu and a large number of covers on a daily basis. No sweary blonde blokes here. 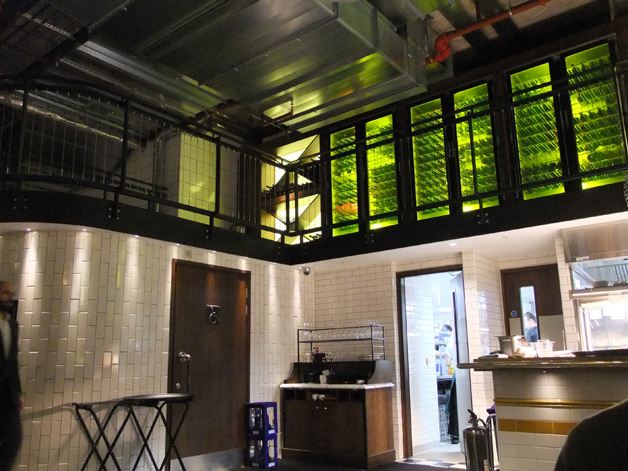 Just a small section of the mezzanine wine racks. I avoided a repeat of the salmon ceviche in favour of the crispy pig’s head with green chilli mayonnaise. I was expecting a terrine/pate-style dish similar to the pig’s head sometimes served at the St John Hotel. 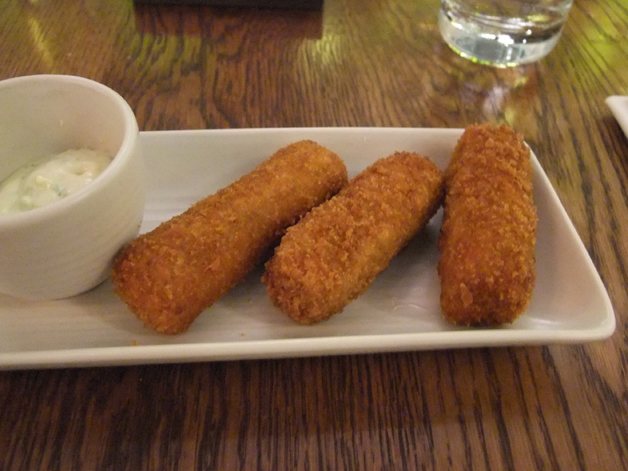 However, I failed to notice the ‘crispy’ appellation which would’ve told me to expect something quite different – a croquettes-like dish that arrived within minutes of placing my order. The breaded parcels of inoffensive, anonymous minced pork tasted like miniature chicken kievs, but with none of the retro garlic butter charm. Garlic butter would probably have been an improvement over the limp chilli mayonnaise which wasn’t spicy in the slightest. That is not good head. Kangaroo Face had better luck with his starter of five raw oysters which were fresh and plump with a clean aftertaste. 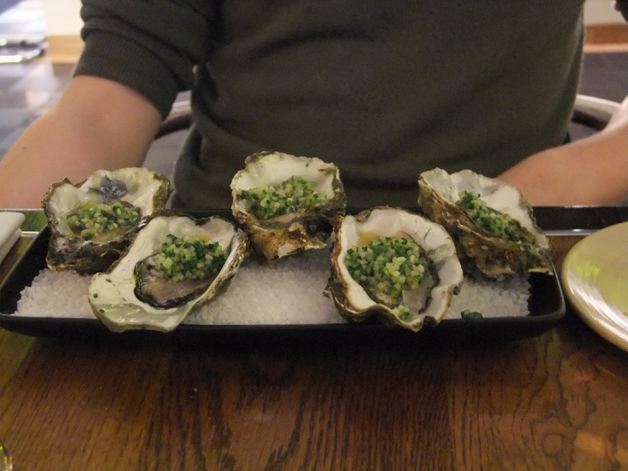 He was less enamoured with cucumber and chive vinaigrette which was slathered onto each oyster in excess. Still, good value at £12.50. Good oysters, shame about the garnish. Our mains confirmed what I suspected from my first visit – many of the main courses are generously sized but generally shorn of accompaniments so you’ll need to order side dishes to have a nutritionally balanced meal. Kangaroo Face’s main of poussin arrived with nothing more than a topping of chimichurri, which tasted strongly of onions more than anything else, and an inexplicably burnt lemon. Since most of the flavour comes from the chimichurri it’s a shame it doesn’t have a more complex, multi-layered flavour, but the bird itself was succulent and juicy. After all, you’d have to try pretty hard to screw up spatchcocked poussin. Call me juvenile, but 'spatchcock' sounds a bit rude. Of all my dining companions Kangaroo Face is the most prominent oenophile. While I drank nothing more than tap water during our meal, he enjoyed sipping Condrieu, a French wine from the Rhone Valley. He enjoyed savouring the smooth, rich, peachy tones, but it didn’t have quite the body he was expecting. 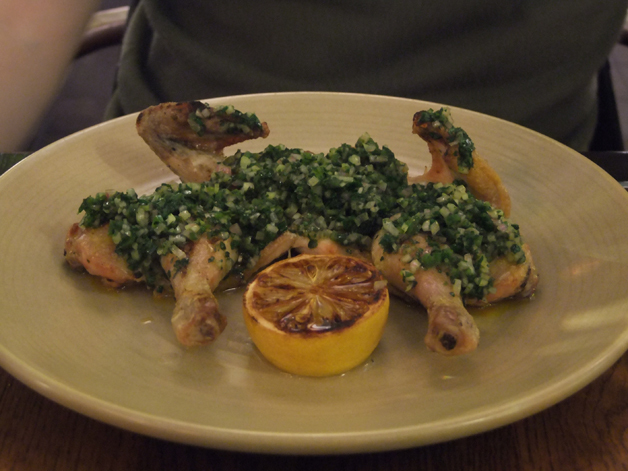 He had expected it to compliment his poussin, but hadn’t counted on the dominant flavour of the chimichurri. 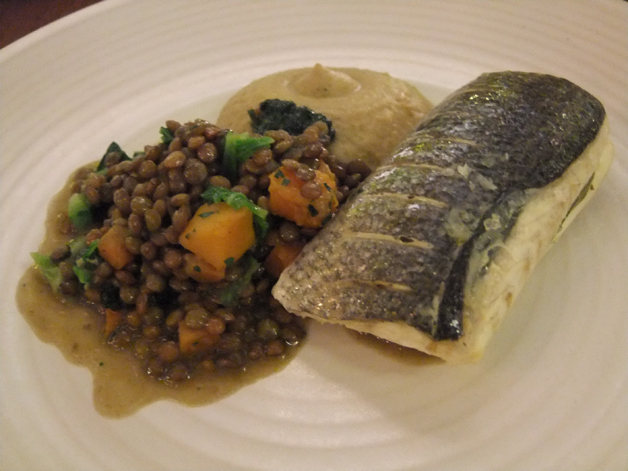 I opted for the steamed bass served with smoked aubergine, savoy cabbage, lentils and roasted pumpkin. The flaky fillet of fish was well-cooked with a slightly salty tang to it and a clean aftertaste. With the exception of the salty lentils, the vegetables were a bland disappointment though. Not a bad effort overall, just a rather tame one. 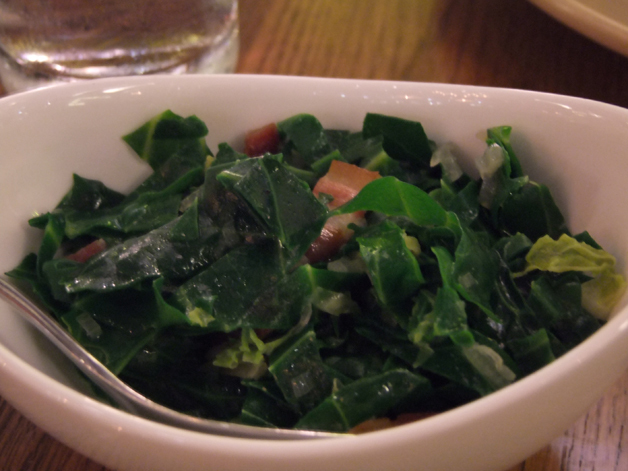 We shared a small side dish of Brussels sprouts tops and smoked bacon. The sprouts were cooked just right, neither too firm nor too soft, but the dish was dominated by the bold saltiness of the bacon pieces. This makes it a curious choice as a side dish since it’s in danger of overwhelming, rather than complimenting a main course. 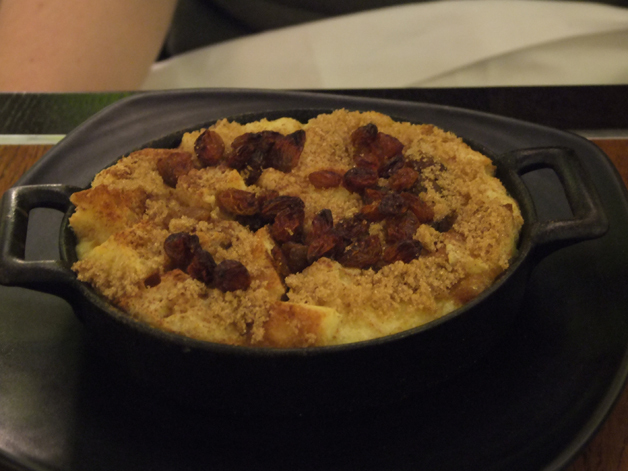 Both Kangaroo Face and I were tempted by the bread and butter pudding, but he won out in the end. The raisin-studded crust of the pudding was quite chewy, providing a nice contrast to the surprisingly light and fluffy interior. I had been expecting a much denser pudding, but it was still pleasing and the fluffy body still had a distinctive buttery hit to it. 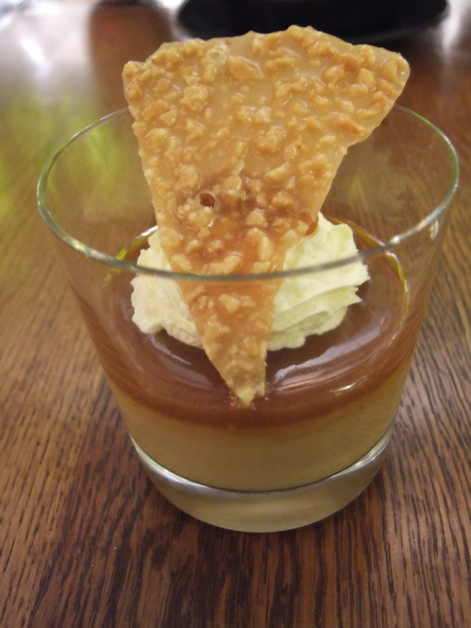 For my dessert, I chose the intriguing sounding butterscotch and whiskey caramel cream with peanut brittle. Sadly, I was unimpressed. Annoyingly, the bold tasting peanut brittle tends to stick to your gums and I found the taste of whisky far too strong (bear in mind I’m a teetotaller). The taste of whisky also overpowered the flavour of the butterscotch, although its gooeyness did provide a nice contrast in texture to the milky cream caramel. A flawed, unbalanced dessert. The large menu at Bread Street Kitchen tries to please everyone, but this has resulted in some flawed dishes. The successful ones are surprisingly simple and while there’s nothing wrong with that, at these prices I expected a little more flair and creativity even if that was never seriously an option given the large number of covers and the need to turn them over fairly quickly. 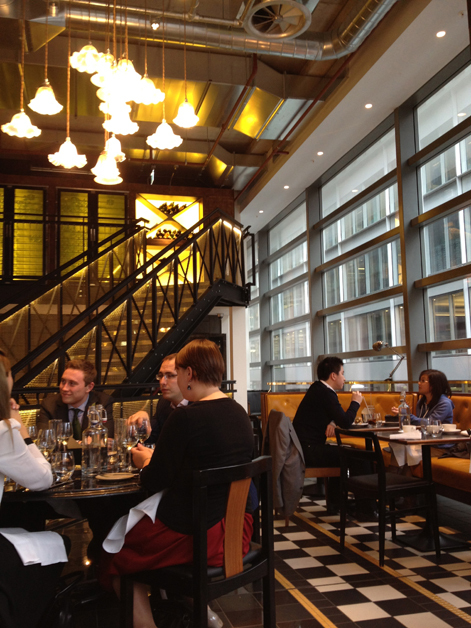 Bread Street Kitchen feels like a template for an overpriced chain. While it may be better than the neighbouring Barbecoa and will probably impress dim City boys and gullible tourists drawn in by the big man’s celebrity, more discerning and demanding diners should head elsewhere. If you must have something to eat in or around One New Change, there’s always the local branch of Byron just a few doors down. Opening Hours: Breakfast Monday-Friday 07.00-11.00, Lunch seven days a week 11.30-15.00, Late Lunch 15.00-17.30, Dinner Monday to Saturday 17.30-11.00 and Sunday 17.30-22.00. Total cost for one person including drinks: £50 approx. Tags: almond, bacon, bread and butter pudding, brussels sprouts, cake, ceviche, condrieu, london, oysters, pig's head, polenta, pork belly, poussin, restaurant, review, sea bass, sourdough. Bookmark the permalink.